I have a few beauty products I don't like to do without. Noxzema for my face. Enjoy products for my hair. Sebastian Signs Dream Spray for my bed. Oatmeal lotion and Sugar Scrub for my skin. Mix the oil and sugar well and store in a container with an airtight lid. I had both ingredients on hand so I got started right away. I could hardly wait to try this. I decided a warm bath was in order so I could put my handiwork to the test. First off, this was just greasy. The coconut oil and my skin were not a good match. While the sugar did help to polish my skin, it was unnecessary after the oil came in contact with my skin. Within moments it became obvious the bath wasn't working out thanks to the DIY Sugar Scrub, a shower was in order. However using this stuff made such an oily greasy mess it became hard to stand in the shower without slipping and sliding. This was a horrible recipe for a DIY Sugar Scrub. It was actually a dangerous recipe as it could result in someone falling in the shower. I would not recommend trying this at home. It would be a better idea to spend the $5 and buy a product that works without any element of danger. I've been experimenting with coconut oil and for me I have to use it very sparingly. It's great for moisturizing skin, but ya, I agree. Too much is not good. I am glad I am not the only one who failed at this! I even added essential oils. What a waste. The coconut oil makes me feel like I was swimming in bacon grease. In my experience, salt scrubs worked better, and last longer. I'm sure there are other versions of DIY Sugar Scrub that don't use coconut oil, but I'm glad I read this so I know to steer clear of it. I'm sad that you didn't have a good experience. I love the coconut sugar scrub. Slightly different ratios though. 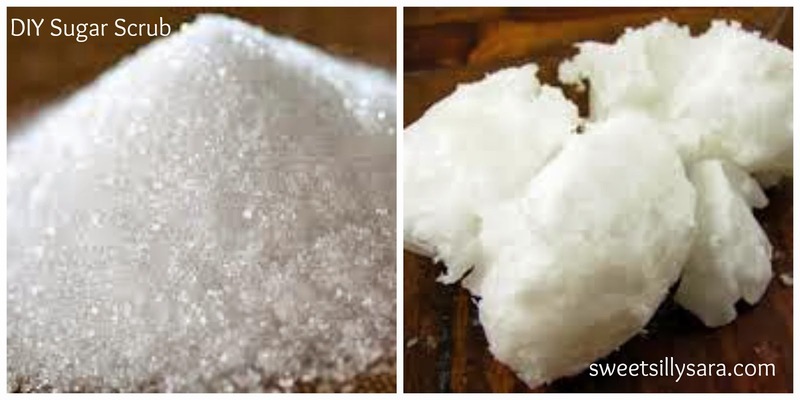 3/4 cup sugar to 1/4 cup coconut oil. Use the scrub sparingly. Your skin may feel greasy while still wet. But once you blot your skin dry, it feels amazing.